WASHINGTON, Jun 11 (IPS) - Greenhouse gas emissions worldwide rose by 1.4 percent last year, setting a new record, according to data released Monday. The data suggests that the globe could warm well more than the two degrees Celsius that climate scientists have set as an acceptable level by the end of this century, a target towards which international negotiations are currently working. "Climate change has quite frankly slipped to the back burner of policy priorities. But the problem is not going away – quite the opposite," Maria van der Hoeven, the IEA's executive director, said Monday at the launch of a special report on the issue. "The path we are currently on is more likely to result in a temperature increase of between 3.6 and 5.3 degrees C, but … much more can be done to tackle energy-sector emissions without jeopardising economic growth, an important concern for many governments." While such estimates have been published previously, the warnings and a set of detailed recommendations are particularly significant coming from the IEA. The Paris-based organisation was set up in the early 1970s to coordinate global oil supply, and continues to advise primarily the world's richest countries. "It's one thing for an environmental group to be saying this, but the IEA is a very respected authority on energy markets and policy, with lots of analytical capacity," Nathaniel Keohane, the vice-president for international climate at the Environmental Defense Fund (EDF), an advocacy group here, told IPS. "This is an organisation founded to respond to the oil shock of the 1970s, yet they're saying that a ‘climate shock' is what we now have to watch for, in terms of threat to long-term economic prosperity. This report helps point us in a direction of where we need to go in the near term to try to get back on track." Indeed, Keohane says the new report can in part be seen as a "hopeful" document, in that the four policy recommendations its lays out would allow international climate negotiators to realistically continue working towards limiting global temperature rise to just 2 degree C.
"The most important takeaway here is that this 2 degree ‘pathway' is still within our reach," Kelly Mitchell, a campaigner with Greenpeace, an advocacy group, told IPS. "Further, the IEA makes the point to clarify a host of no-cost measures towards that pathway. With countries around the world already experiencing the impacts of climate change, that leaves very few reasons left why governments should be delaying action on climate change." The IEA recommendations would use only currently available technologies and could be implemented at no net cost, it says. These include a new focus on energy efficiency, continuing to limit the growth of the coal industry, reducing the amount of methane leakage during oil extraction, and speeding up the phase-out of fossil fuel subsidies. Nearly half of these savings would come from energy efficiency alone. Fully implementing the recommendations would reduce emissions by around eight percent by 2020, the organisation estimates. "This does not take us all the way where we need to go," EDF's Keohane cautions. "But this is a package of policies that would help create the opportunity to turn towards ‘climate safety'." The overall rise of 1.4 percent in carbon dioxide emissions masks some potentially positive news. The United States, for instance, reduced its 2012 emissions to levels last seen during the 1990s, largely on the back of strong new use of domestically sourced natural gas, while Europe also saw a decline. At 3.8 percent, China too saw its emissions grow more slowly than anytime in the past decade, as Beijing has begun pouring funding into renewables. Yet China also posted the largest contribution to the new global emissions increase. Indeed, developing countries made up some 60 percent of those emissions, up from 45 percent a little over a decade ago. Due to the large growth in energy demand from these countries, IEA analysts point out that developing countries "stand to gain the most from investing early in low-carbon and more efficient infrastructure". Climate negotiators are currently meeting in Bonn, Germany. Yet progress in the talks has been stymied in particular by disagreements between developed and developing countries over how to allot responsibility for emissions cuts. The IEA is now warning that governments across the globe, though particularly in major emitting countries, will need to put in place these policy reforms by 2020. That's already an extremely tight deadline, but actually the IEA says "intensive action" is required well before that date. 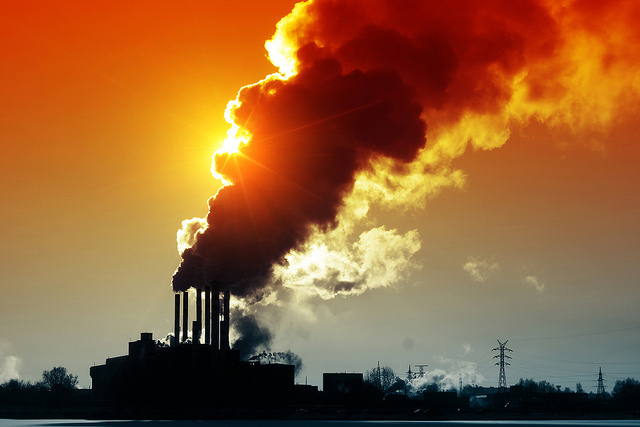 "Delaying stronger climate action to 2020 would come at a cost," the report states. "1.5 trillion dollars in low-carbon investments are avoided before 2020, but 5 trillion dollars in additional investments would be required thereafter to get back on track." One potential strength of the IEA's recommendations is that they could easily be implemented in parallel to the international climate negotiations. While political will is necessary to see through some of the recommendations – particularly phasing out coal use and fossil fuel subsidies – others wouldn't require much political involvement. "The headline agreements from the international talks will take place starting in 2020, but these are four practical, pragmatic policies that could be put in place leading up to that point," EDF's Keohane says. "This means the United States has to take the lead, and will also require action from China, the E.U., India, Brazil. But each of these recommendations could be implemented regardless of what happens in Bonn and later talks, and each will be critical to getting us across the finish line." Also on Monday, researchers released a first-ever ranking of 100 entities in the United States, historically the largest greenhouse gas emitter, by their level of greenhouse gas emissions. At the top of the list are three power companies, which researchers at the Political Economy Research Institute (PERI) at the University of Massachusetts say constitute five percent of all U.S. annual emissions. At number four on the list is the U.S. government, based on 2011 data.